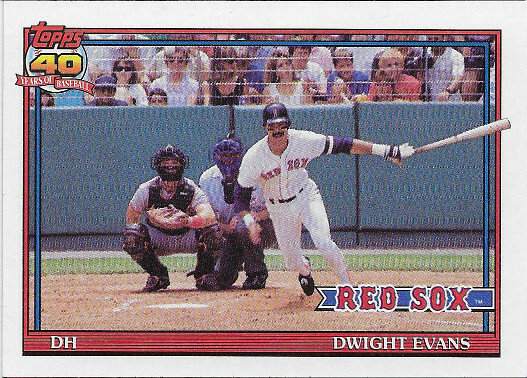 We have a throwback break today, in 1991 Topps. 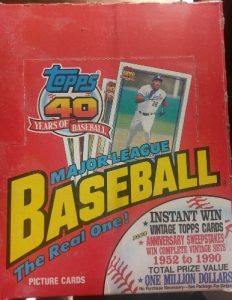 This was the 40th anniversary release for Topps. 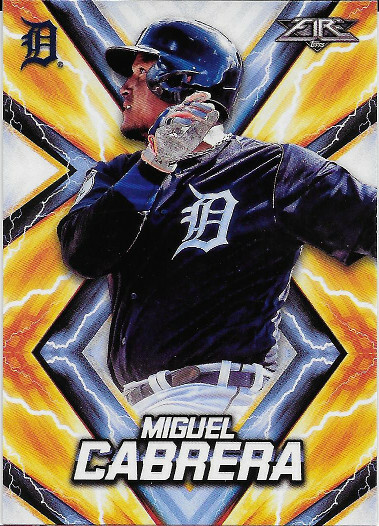 It was a simpler time for collecting, as there are no hits or inserts to speak of in the box, but there is a very remote chance at a buyback card from any of the previous releases, before they used to stamp each buyback card. Topps inserted one of each card ever produced or a redemption for it, if the card was too valuable or large to fit in the pack. The buybacks were very rare as this is one of the most over produced sets of all times. 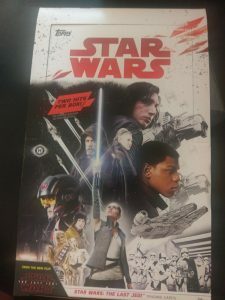 Topps released their latest Star Wars set on the day The Last Jedi opened in theaters. It’s a pretty clean design, and seems a lot more straight forward than recent releases. As usual, the release was pretty hush hush before that day, to prevent any spoilers. 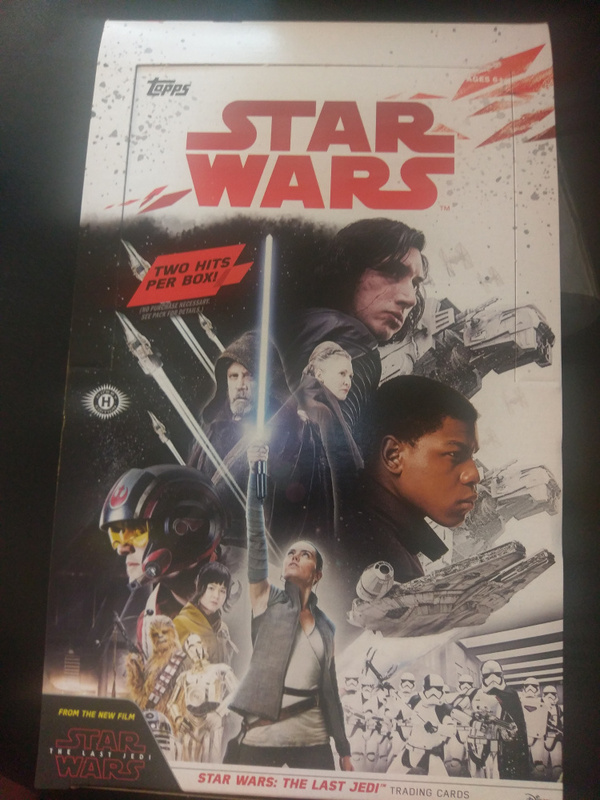 This set doesn’t seem to have many spoilers as it doesn’t seem to cover the whole movie and really only shows unknown characters. 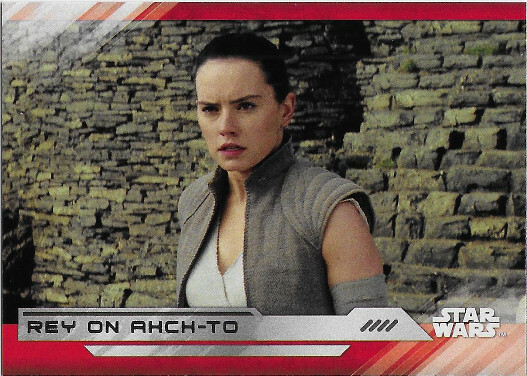 I think it’s safe to assume most people collecting this cards have already seen the movie before they do, however. The base set is 100 cards, and comes in a variety of parallels. Many of the insert sets also come in various parallel versions. The box advertises 24 packs of 8 cards, with two hits per box. This is a pretty straight forward, and relatively small release. It contains an additional 100 chrome cards as an update to the original release. The numbering does not continue off the first release, however. 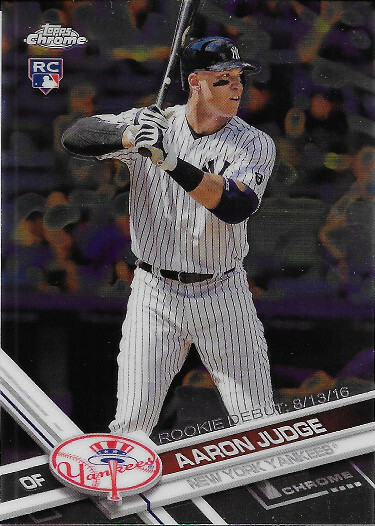 The lone insert set features reprints of All Toops Rookie Cards for some of the biggest names in the game. Both the main and insert set offer autographed versions, as well. Is it worth it? Well, I’d say that depends on if you’re a chrome fan. If not, it’s probably an easy skip. The Mega Box offers 7 packs of four cards each. This is a release I wasn’t very sure about going in. I’m generally not a big fan of the gimmicky releases like this. After opening a box, I still don’t think it’s quite for me, but the online pictures don’t really do the cards justice. They do look a lot better in hand than in any pictures I’ve seen. The parallels leave something to be desired, though, as they don’t seem to match up to their names very well. The fact that these are Target exclusives also doesn’t really appeal to me, but they seem to be easier to find than many Walmart exclusives are. The blaster box advertises 46 cards inside (7 packs + 1 Gold Minted pack). There are no guaranteed hits.